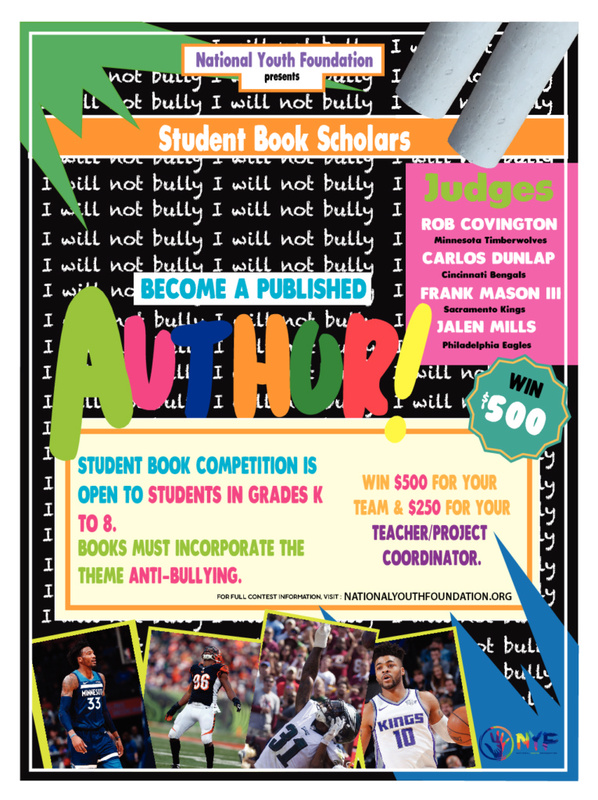 Each entry must incorporate the theme of Anti-Bullying. From the time of submission, entries become the property of the National Youth Foundation and will not be returned. Both the text and art must be solely created by the students. Typed text is preferred, but not required. One book entry per team. Each submission must include one page of art for each page of text, except for the cover, back and dedication pages. The back and dedication pages are optional. Each book must be between 20 and 30 pages. The cover, dedication and back pages do not count towards this number. The book entry must be postmarked by July 15, 2019. Individual entry forms must be signed by each student participant and their parent or legal guardian. Students must work in teams (minimum of three and a maximum of ten per team). The book must be submitted in the order of publication. The pages should be numbered on the back in light pencil. All pages must be submitted on 8 ½” x 11″ or 9″ x 12″ paper. Will I be notified when my submission is received? We will not notify students when the entries are received, but feel free to e-mail us for confirmation (see Contact Us page). 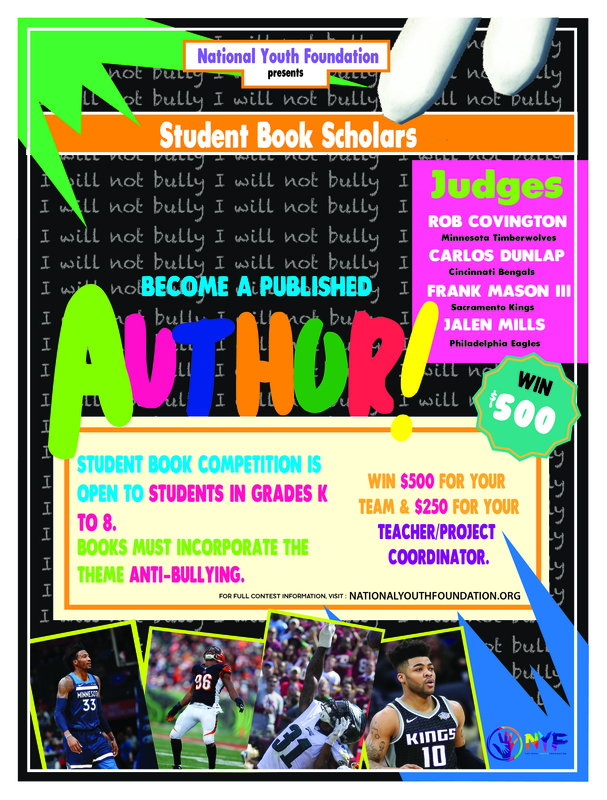 The contest is open to students in grades K to 8. How many entries can Coordinators submit? Can a parent be a Coordinator? The winning entries will be posted on our website by October 26, 2018. 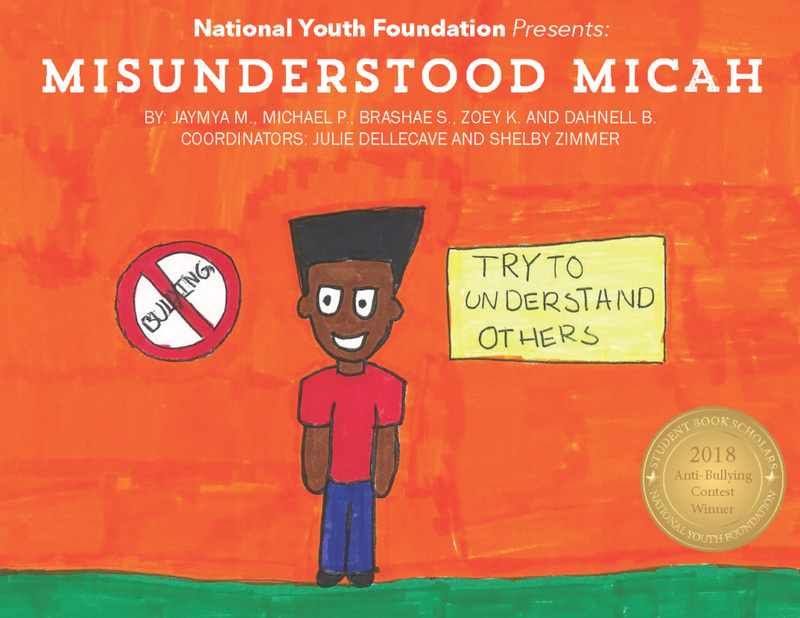 The National Youth Foundation Congratulates Jaymya, Michael, Zoey and Dahnell on winning the 2018 SBS Contest!